Learn the intricate skills and techniques of scuba diving and complete four open water dives off the coast of Bali. With 3 days of training, this PADI Open Water Diver course teaches you the proper skills required for scuba diving, beginning with basics such as underwater breathing and hand signals. These skills are taught by a certified dive instructor through theory sessions and swimming pool training at the dive center. By the end of the course, you'll have confidently completed four open water dives, swimming as deep as 60 feet in the Bali Sea. Throughout the course, you'll be accommodated in comfortable rooms at the dive center itself. 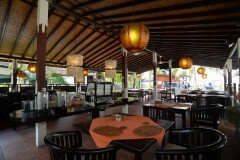 Meals of breakfast and lunch, served at the dive center's restaurant are included in this package. Padang Bai, a small coastal town 1-hr drive away from Bali, is home to gorgeous, shallow reefs. The dive sites, located a few minutes of boat ride from the dive center, feature a range of different species of fish, including sweetlips, eels, turtles, lionfish, octopus, cuttlefish, scorpionfish and even black tip and nurse sharks. The terrain is lined with a range of different hard and soft corals, with huge boomies and feather stars. You will also go diving to explore the shipwreck of the famous USAT Liberty, a cargo ship that served in the second world war. At this famous dive site, you can expect to see more than 400 different species of marine life. Rare sightings of whale sharks have also been reported at the USAT Liberty shipwreck. • Learn basic skills and techniques of scuba diving. • Complete four open water dives in the Bali Sea. • Explore rich marine life and beautiful coral formations under the sea. • Go diving to explore the famous USAT Liberty shipwreck dive site. • Earn your PADI Open Water Diver certification at Padang Bai. 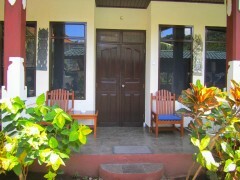 • Stay in comfortable rooms at the dive center and explore Padang Bai. Travellers will be required to pass a 650 feet swimming test and 10-min floating test before beginning the scuba diving course in Bali. For cancellations made more than 30 days before the start date of your scuba diving course in Bali: 100% refund. 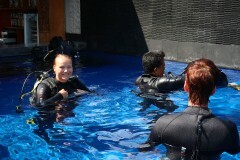 For cancellations made between 30-15 days before the start date of your scuba diving course in Bali: 50% refund. For cancellations made less than 15 days before the start date of your scuba diving course in Bali: no refund. All refunds will be processed after deducting any international payment transfer fees. 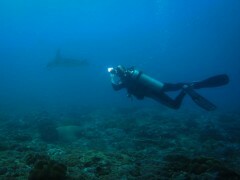 Please check with us what these fees will be for this scuba diving course in Bali. The tour operator reserves the right to alter or cancel the itinerary of this scuba diving course in Bali due to any unforeseen circumstances to ensure maximum safety of travellers and staff. Costs arising due to such a change in itinerary are borne by the traveller. There is no pick-up for this Bali scuba diving course. There is no drop-off for this Bali scuba diving course. 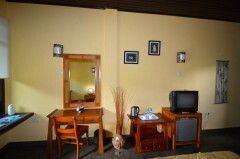 Arrive at the dive center and check-in to your comfortable rooms. You can spend the rest of the day at leisure. Visit a few of the beaches at Padang Bai, like the Blue Lagoon beach or the Bias Tugel beach, and explore the old town. Alternatively, you can also relax at the dive center. Overnight in rooms at the dive center. Early in the morning, you'll have breakfast and meet your dive instructor to begin training for the course. The day's agenda includes theory sessions and pool training. You'll begin by reviewing theory modules, watching training videos and taking short quizzes. Each modules is associated with a corresponding practical session in the swimming pool. A certified dive instructor will get into the pool with you and teach you the use of scuba equipment like the snorkel, fin and regulator along with diving skills and techniques like buoyancy control. The day's session ends by late afternoon. You can spend the rest of the day at leisure. Overnight in rooms at the dive center. Begin with a pool training session at the dive center. Day 3 of the PADI Open Water Diver course in Padang Bai: 2 open water dives! Early in the morning, you'll have breakfast and begin the day with a boat ride to a few of the dive sites around Padang Bai. En route, the dive instructor will continue to brief you regarding the basic pointers that you'll need to keep in mind while diving. Over the course of the day, you'll complete two open water dives. During these dives, you will continue practicing several breathing and navigation skills that you learnt in the swimming pool yesterday. Lunch is served on the boat between the two dives. The day's session ends as the boat returns back to the dive center. You can spend the rest of the day at leisure. Overnight in rooms at the dive center. Swim past the soft and hard corals decorating the sea floor. Day 4 of the PADI Open Water Diver course in Padang Bai: 2 open water dives! Early in the morning, you'll have breakfast and prepare for two more open water dives in the Bali Sea. Depending on the dive instructor, you'll either travel to a few of the dive sites around Padang Bai or go diving near the USAT Liberty shipwreck. En route, your training continues as you focus on putting the finishing touches on your dive technique. Over the course of the day, you'll complete two open water dives, swimming down as deep as 60 feet. During these dives, you will work with your dive instructor to fine tune and perfect your scuba diving skills. Lunch is served on the boat between the two dives. The day's session ends as the boat returns back to the dive center. You'll check-out of the dive center by evening. Your trip ends here. Overnight in rooms at the dive center. Arrive and check-in to your rooms. 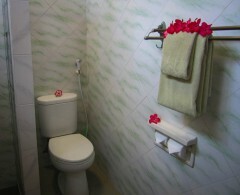 You'll be accommodated in standard rooms at the dive center. The room will come with an attached washroom, air conditioning, comfortable bed and bedding, television and chairs. No meals are included in today's meal package, but you can grab a bite to eat at the restaurants around the dive center at your own expense. Complete the theory and pool training section of your scuba diving course. Today's meal package includes breakfast and lunch only. You may have dinner at any of the restaurants around the dive center at your own expense. You'll be accommodated in the same rooms as yesterday. The day's session ends by late afternoon. Complete two open water dives in the Bali Sea. Today's meal package includes breakfast and lunch only. You may have dinner at any of the restaurants around the dive center at your own expense. Breakfast will be at the dive center, while lunch will be served on the boat. You'll be accommodated in the same rooms as yesterday. The day's session ends by late afternoon. Your course ends before nightfall. 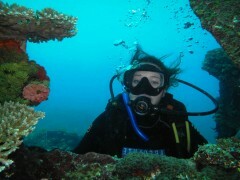 Complete two open water dives in the Bali Sea. Today's meal package includes breakfast and lunch only. Breakfast will be at the dive center, while lunch will be served on the boat. The day's session ends by late afternoon. You'll check-out by evening. Bali is well-connected to most major cities of the world via frequent flights to the Ngurah Rai International Airport. Your dive center, located in Padang Bai, is located 1-hr drive from the airport. You can hire a taxi or private cab to travel from the airport or your hotel.